Following up on the June release of the Northern Virginia Affordable Housing Alliance's (NVAHA) research on Northern Virginia’s Preservation Challenge: Trends, Threats, and Opportunities, last week NVAHA and the Coalition for Smarter Growth hosted A Community Forum on Preservation through a Lens of Equity and Inclusion. This forum focused on the redevelopment of Fairfax County's Route 1/Richmond Highway Corridor. The area is the subject of the EMBARK Richmond Highway multimodal transportation plan. The corridor is relatively diverse, and includes a significant number of market-rate rental properties that serve low- and moderate income households. Fairfax County is commencing a planning strategy to address the challenge of preserving affordability within the corridor so that the catalytic transportation and redevelopment investments benefit the people who currently live there, especially those most vulnerable to displacement. I also had the pleasure of presenting Neighborhood Fundamentals' preservation research, conducted on behalf of NVAHA. On June 20, the Northern Virginia Affordable Housing Alliance (NVAHA) released research produced by Neighborhood Fundamentals on Northern Virginia’s Preservation Challenge: Trends, Threats, and Opportunities. If you are in the Washington, DC metropolitan area, please join NVAHA and the Coalition for Smarter Growth for a July 25 event and panel discussion on the report and its findings. On June 29, Michelle Winters, Executive Director of the Alliance for Housing Solutions (AHS) and I offered public comments on Arlington County, VA's draft Capital Improvement Plan. The comments offer recommendations for using public land assets and facility co-location as a means of providing affordable housing in a land and capital-constrained environment. On June 27, I joined Lisa Sturtevant and Ryan Price of Lisa Sturtevant & Associates and Ellen Harpel of Smart Incentives in participating in a panel discussion at the annual meeting of the American Planning Association Maryland Chapter. As the Smart Incentives blog post on our presentation details, we focused on the key question of: "How can local communities develop integrated land use, economic development, housing and transportation policies and plans to promote inclusive development and ensure that all residents benefit from growth?" On June 7, I published a blog post that analyzed the effects of the 2017 federal tax law on efforts to evaluate the cost-effectiveness of the Low Income Housing Tax Credit program. On June 20, the Northern Virginia Affordable Housing Alliance (NVAHA) released research produced by Neighborhood Fundamentals on Northern Virginia’s Preservation Challenge: Trends, Threats, and Opportunities. This report is a follow up to NVAHA’s 2011 report, Charting a Way Forward: Preserving Market Rate and Affordable Housing in Northern Virginia’s Inner Suburbs, authored by Angie Rodgers. Incentives to encourage affordability through rehabilitation and/or redevelopment. Encouraging equitable redevelopment through zoning and land use flexibility. We hope that this report will serve as a call-to-action. As resources remain constrained, it is imperative now more than ever to coordinate policy, programmatic, and funding activities that will save the affordable homes that already exist. The Tax Cuts and Jobs Act of 2017 (TCJA) had significant effects on the delivery of affordable rental housing. Most notably, the decrease in the corporate tax rate is expected to reduce the amount of Low Income Housing Tax Credit (Housing Credit) equity available for new construction and preservation efforts, potentially reducing production levels by more than 200,000 units over the next decade. The implications of the TCJA and efforts to fill this new gap have rightfully received a great deal of attention among affordable housing practitioners. However, I do want to call attention to an under-explored implication of the TCJA's provisions that could influence how the effectiveness of the Housing Credit is viewed - the law's impact on metrics. Over the past six years, I have spent a considerable amount of time studying the cost-effectiveness of affordable housing production and the Housing Credit in particular. Through this work, I have observed numerous metrics for evaluating costs - total development costs, total subsidy required, leverage ratios, etc. These metrics have varying relevance in different contexts. The TCJA's corporate tax rate reduction is having a significant impact on production figures based on Housing Credits per unit (and the inverse, the number of units produced for a given amount of credits). For those less familiar with the Housing Credit, one of the relatively unique elements of the program is that that unlike a grant, the subsidy awarded - an allocation of tax credits that can be claimed over ten years - is generally not equal to the amount of equity that the developer ultimately receives. Equity investors purchase Housing Credits from developers based on their perceived value, which takes into consideration discount rates (equity is provided upfront, while credits are claimed over a decade), macroeconomic conditions, regulatory requirements, and local market factors, among other elements. The amount of equity raised per credit can vary significantly, and can be higher or lower than a 1:1 ratio depending on the context. A lower corporate rate affects this calculation and reduces the amount of upfront capital available per unit. Estimates of this reduction (at the aggregate level) reach approximately 14%. This reduction began before the TCJA passed, as investors began anticipating and "pricing in" future changes. Why does this matter, beyond the bottom-line reduction in units and increased need for subsidy to fill the gap? Perceptions of a program's effectiveness are often shaped by metrics. With equity prices lower, developers will be able to produce fewer units per Housing Credit awarded, even if their development costs have stayed the same or fallen. While the drop in productivity (again, on a per Credit basis) is technically true, any assessment of the effectiveness of Housing Credit allocators and developers must take this extraneous factor into account. Cost-effectiveness is critical in a resource-constrained environment. There are many metrics that are effective in measuring development cost trends, and those metrics should be used to inform any policy or programmatic changes. Moving forward, it will be important to avoid drawing conclusions from the wrong metric, and all assessments of the Housing Credit program should be done in the context of the TCJA provisions. Over the last 9 months, I joined Lisa Sturtevant and Spencer Shanholtz of George Mason University's Center for Regional Analysis in studying senior housing needs in Montgomery County, MD. The result of this effort is the publication of Meeting the Housing Needs of Older Adults in Montgomery County, which we presented to the County's Planning Board on May 24. A summary of our key findings and recommendations can be found at the County's website. As the number of older adults (both locally and nationwide) continues to rise, the demand for housing that serves this population will also rise. This includes senior living facilities (independent living, active adult units, assisted living, and nursing care facilities). However, one of the findings that particularly struck me was that more than 85% of older adults in Montgomery County live in housing units that are not age restricted. They live in homes that serve the general population, whether market-rate or affordable. As such, meeting older adults' housing needs requires a thoughtful general housing policy infrastructure, which can be complemented with targeted policies for households with additional needs. The same elements that improve affordability more broadly - adequate supply, diversity of housing types, mixed-use and walkable neighborhoods - will improve the likelihood of success for targeted interventions aimed at meeting older adults' unique needs. The recently-instituted tolling policies on Interstate 66 in Northern Virginia have generated a lot of controversy since they were instituted. The old system in which only carpools, buses, and motorcycles were allowed on the route during the 2.5 hour rush hour was replaced with dynamic tolling over a four hour rush hour. The carpools, buses, and vans still use the road for free, but single-occupancy vehicles are charged a toll based on the level of congestion. As users have adapted to the system, periodic spikes in tolls have generated headlines, including the one I commented on via Twitter this morning (full thread below). As I explain, the tolling system is a good idea, but to make it sustainable (from both the financial and political perspectives), we need to also look at our land use and affordable housing policies to ensure that people actually have a choice to avoid the tolls but living in more centrally located and transit-served communities. 2- The tolling is painful, but necessary. Just a reminder, single-occupancy vehicles were not allowed at all on I-66 prior to rush hour pre-tolling. HOV is still free. 4- There's a portion of the exurban population that truly cannot afford to live in DC or the inner-suburbs. They'd prefer the short commute, but housing costs are too high. 5- So that's on us in the inner jurisdictions for not permitting/investing in a wider range of housing choices - including family-size units. 6- But the reality is that a lot of people's discretionary preference is to live further out. Some are wealthy. Others are less-so, but valued a larger yard and more square footage (at a lower per sq ft price) when they moved out there. 8- Because the truth is, the previous, toll-free status quo can't work anymore. Infrastructure is too costly to continue to subsidize inefficient versions to the extent we have in the past. So what do we do moving forward? 9- In a micro sense, the proposal to lower the average speed in the algorithm makes sense. You're still pricing adequately, and allowing people to decide if the extra commute time is worth it to them. 10- But from a macro sense, we need to address the issues of the 2 cohorts from tweets 4 & 6 separately. For the 1st, we need zoning reform to create more centrally located family sized units & more affordable housing investment. To better facilitate neighborhood growth, should we first start with small changes? 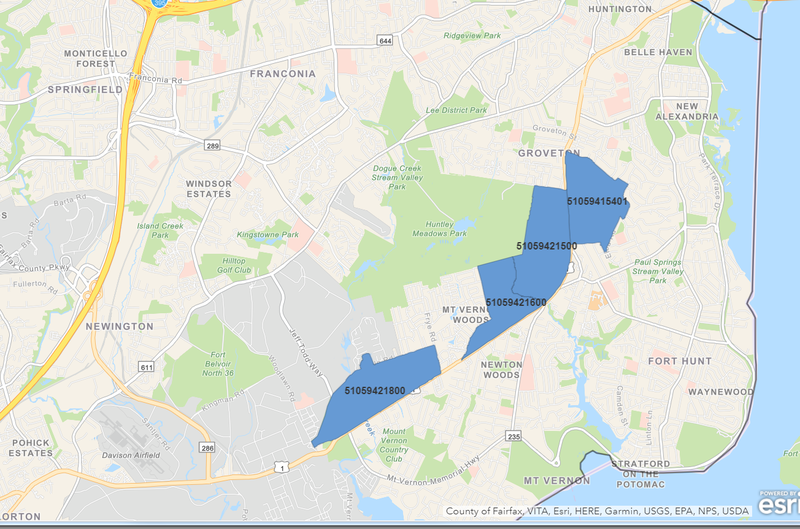 Yesterday, the Washington Post's Lori Aratani wrote about opposition to increased development in the Northern Virginia suburb of Reston. Reston is benefiting from the Silver Line expansion of the WMATA rail system, and more recent development (and plans for development moving forward) is somewhat more "urban" in nature. While some have embraced this, others are resisting the change in neighborhood form, with one local activist stating, "People who moved here bought the zoning." This comment prompted me to think about the extent to which neighborhoods ("what you're buying into") are perceived to have permanence. Let's put aside for a moment the notion that the true cost "buying the zoning" is likely to be beyond the means of all but the wealthiest when accounting for the costs of maintaining a development pattern. Even if that was attainable at a broad scale, I do not believe permanence of form is a healthy condition for communities. Whether in biology or real estate development, evolution is important for health and survival. However, there are policies and protocols in our municipal governance that can either promote adaptation or reinforce notions of permanence. To that effect, I'm including below my relatively informal Twitter thread from yesterday that discussed the problems with rigid zoning and building codes and how incremental change may be able to create a mindset that allows for more substantial change in the future. 1. Per last RT, it is remarkable how durable "we bought the zoning, too" line of thinking is. 3. As much as we need a radical zoning/land use restructuring, in many places this is nearly impossible due to politics. We therefore need to first make incremental progress at adjusting this mindset. 4. If you're starting this process in a neighborhood that's getting redevelopment pressure, you may already be too late. 5. From a practical and social equity perspective, it's better to set precedent that change can come to all neighborhoods, not just the ones without wealth/clout to resist. 6. So this starts with small, incremental changes. Loosening setback requirements. Tweaking parking regs. Allowing ADUs. 7. Basically, for regulations that cause a property owner or homeowner to say to themselves, "wait, I need a permit/waiver to do that?!? ", consider starting there. 8. You can shift the variance/waiver burden of proof from the citizen (prove why is this necessary and won't cause harm) to the govt/neighbors (prove, at your cost, why this will cause harm or is unnecessary). Earlier this month, Enterprise Community Partners released the third installment of its Promoting Opportunity through Equitable TOD series: Navigating Federal Transportation Policy. During my tenure with the Enterprise Policy Development & Research team, I had the pleasure of working on this series, which also included reports on Making the Case and Barriers to Success and Best Practices for Implementation. In this latest report, author Ahmad Abu-Khalaf gives an overview of the ways in which federal policy promotes or inhibits the ability to create affordable, multi-modal communities with access to opportunity. In many ways, federal transportation policies can have just as much (if not more) impact on equitable housing outcomes than housing policies. For instance, the report highlights the impact of federal highway spending on suburbanization and the disinvestment of central cities during the 20th century. These decisions could had macro-level impacts sufficient to undermine even the most well-intentioned housing investments. Unfortunately, housing policy during this period (and in some cases, through the present day) were often malign, including the enforcement of racially-biased redlining practices. Navigating Federal Transportation Policy provides details on how state, regional and local stakeholders can work to move past this legacy and create more equitable communities. It addresses three core categories of intervention: prioritization and planning, funding, and utilizing publicly owned parcels. In short, while the incentives built into many federal policies and funding programs generally make auto-oriented housing development patterns the "path of least resistance," progress has been made in recent years that creates a viable path forward for community developers and others looking to create more accessible, affordable development patterns. For more information, on this and other related reports, visit the Enterprise Policy Development & Research page. Additional research on equitable transit-oriented development and the use of publicly-owned parcels is also available on the Neighborhood Fundamentals Projects and Publications page. After considering yesterday's post on Tactical Transit vs. the Megaproject, I gave some thought to transportation infrastructure investments near my home in south Arlington, VA. I tweeted them out as a thread today, which I've embedded/copied below. 3- we live a short walk from Columbia Pike, which was supposed to get a mixed-traffic streetcar. It was highly controversial and debated for more than a decade, before getting cancelled at the last minute after a County Board election was won by an opponent. 4- a lot of associated planning efforts (including a form-based code with a strong affordable housing policy) were predicated on the streetcar, which caused some consternation when the project was cancelled, but it seems that after a brief lull development is picking up. 7- Now there's a huge difference in scale, but I still think there's a lesson to be learned. The County went ahead with minimal forewarning and reduced the lanes through largely low-cost (and reversible) techniques. 8- People were mad at first, and the County billed it as an experiment. 8 months later, the lanes are still reduced and there's not much public convo about it. I haven't noticed many delays there of substance, and a brief scan did not yield any public plans to reverse it. 9- It seems that people adjusted, opposition waned, and pedestrians are better off because of Arlington's experiment. This brings me back to the Pike. 10- A lot of people vehemently disagreed about the transportation-specific impacts of the potential mixed-traffic streetcar. I wonder what would have happened if the County would have started to try testing different elements out to see the impact. 11- Could they have convinced the state DOT to let them try rush hour only bus/HOV3 lanes for a couple weeks? Could they have given a fare holiday to increase boarding/off-loading speeds? Could they have tested out any of the elements that go into gold standard BRT? 12- Maybe it would have ended the same. Maybe people would have adjusted to inconveniences and opposition would be reduced (or countered w/real-world experiences). Maybe dedicated lane could have entered the convo. Maybe they could have discovered BRT gave us better value. Trial, error and adjustment. Despite the tendency in planning to try to get things just right, development is necessarily messy. As I wrote earlier this month in the context of micromanaging housing typologies, over-planning reduces the number of viable "paths to success" and can yield unintended consequences. A tactical approach can allow for trial, error and the real-world testing of alternatives, without the enormous sunk costs and inflexibility of a build-for-permanence approach. Building a base of beneficiaries. Major projects (whether it is a form-based code, zoning change, light-rail project, or public park) can take a long time to plan and implement. When completion is a distant prospect, it is easy to see how status quo bias can take hold. A nearby resident might wonder whether the long-term benefits to be achieved (sometimes more than a decade out) outweigh the present-day inconveniences of a multi-year construction process and local tax increases. Quickly-instituted tactical investments start building a user-base right away. Furthermore, those users can quickly suggest improvements to the system based on reality, not theory. "Modest" projects can have huge impacts. Large scale rail transit projects get most of the hype, but bus riders make up the plurality of all transit users (47.6%), nearly as much as all other modes combined. The impact of bus service is magnified when one considers that many metropolitan regions and smaller cities lack the scale for an extensive rail network. Therefore, investments in improving bus service and redesigning bus networks may be able to impact a significant number of people for modest amounts of money. Furthermore, such investments can have positive social equity impacts, by spreading the potential benefits to people living outside of a specific corridor. "Tactical" and "Major" are not necessary mutually exclusive. Despite the headline of this article, tactical approaches can be a complement to (or core component of) major development efforts. Planners can replace expensive models/studies in part with pilot projects. For example, a bus system seeking to boost speed by investing in technology for off-board fare collection (or a proof-of-payment system) can test out how much time this would save by holding a time-limited "fare holiday" in which rides are free (eliminating the need to swipe a card). A planning department trying to diversify its housing stock could initiated a quasi-by-right, streamlined approval process for a specified number of non-conforming building plans. The information from these experiments could then inform the final plans/policies. In order to act boldly to improve community development and infrastructure, you do not always have to "think big." Sometimes it is more helpful to "act now."